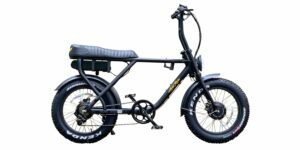 Fully Integrated, Sealed, Tapered 1-1/8" to 1-1/2"
Desiknio is a relatively new electric bike company that’s leveraging proven motor, battery, and controller systems from Ebikemotion Technologies. 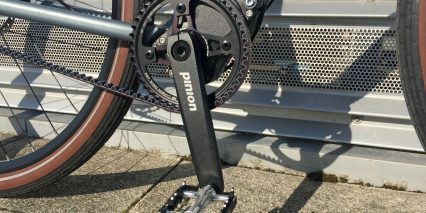 I reviewed their single speed model initially, and was excited to dive into the Pinion Classic because the internally geared bottom bracket was brand new to me. 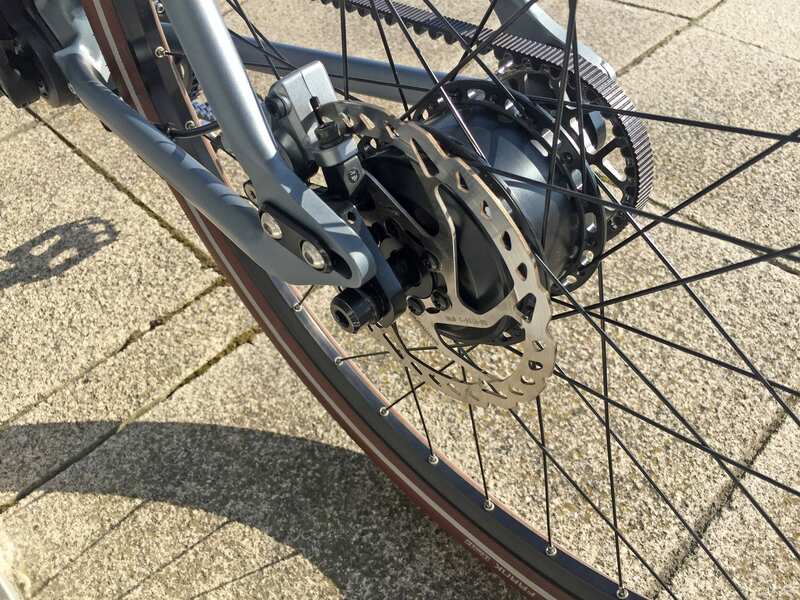 This drivetrain can be shifted at standstill, like an internally geared hub, but frees up the rear wheel for a compact geared hub motor, offering assist. 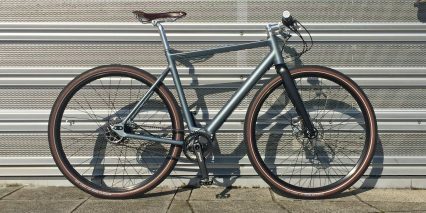 There’s a handmade feel to these ebikes, you get to choose from three color options and three frame sizes to maximize fit… but I’m not sure on delivery times and availability. It sounds like some of their models are sold in limited quantities each year. Unfortunately, I did not get to see the light options, fender and rack adapter, or smartphone app that was mentioned in the video review above. Please chime in with your feedback and corrections, as well as photos and tips in the Desiknio forums because it all sounds really neat! I did my best to record all of the stats (even speaking with the founder of the company for an hour before filming). The Desiknio products are minimalist, sleek, and beautiful, but use premium hardware that commands a higher price. 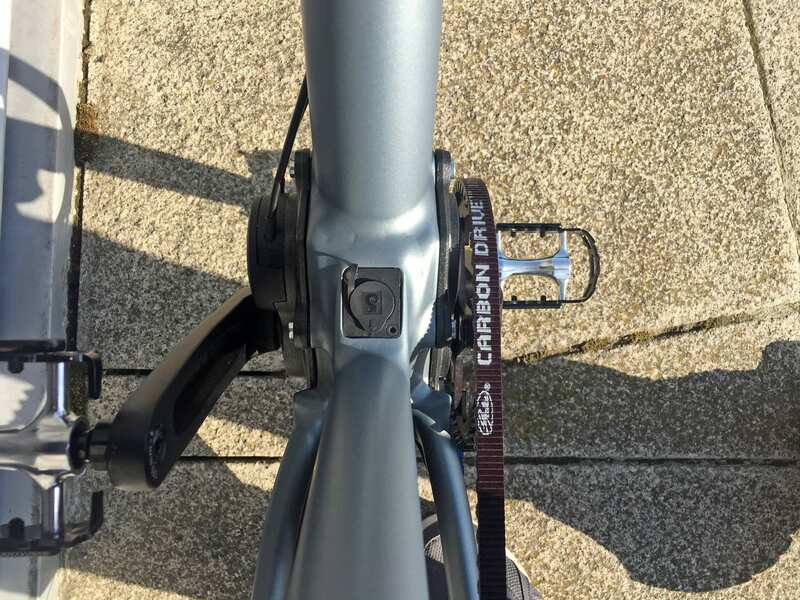 I noticed and appreciated the fancy Shimano LX hydraulic disc brakes, Brooks leather saddle and grips, 15mm thru-axle, and quality carbon fiber fork. 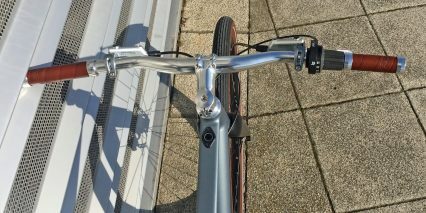 The fork dampens vibration to improve ride quality and comfort, which is nice on a frame without any suspension. 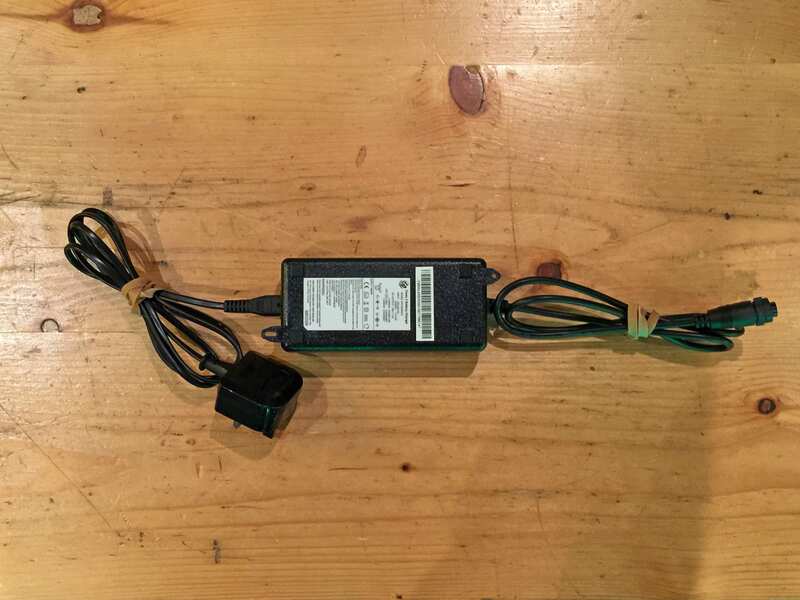 I love how the cables have been internally routed, the battery is completely hidden, and most of the weight is low and centered for stability and easy handling. It’s a bike that’s comfortable to lift because the frame is wide open. It’s lightweight at roughly 34.8lbs, making it easy to carry (even upstairs) so you could store it inside… and you might want to do that, because the primary battery pack is not easily removable. You’ll probably need to store the bike near a wall plug to keep it charged up… and that could be a bummer for commuters who aren’t allowed to bring their bikes in. 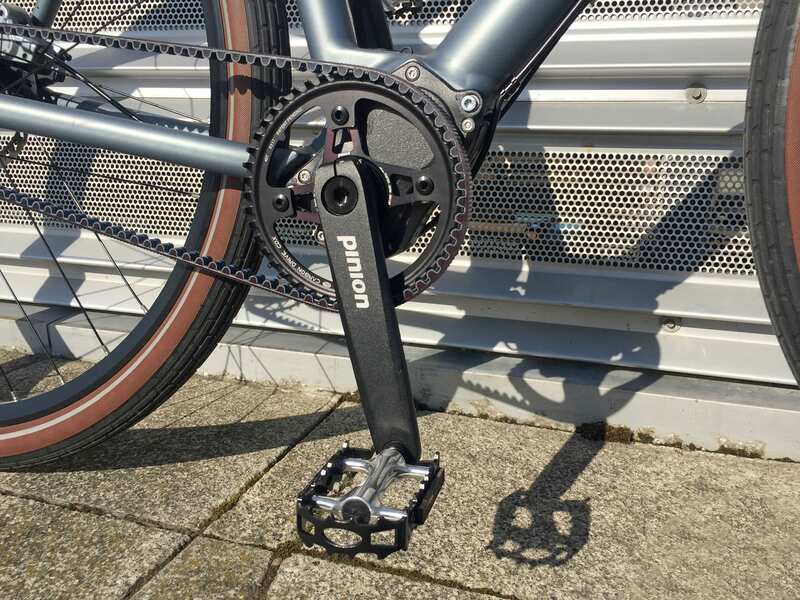 The Pinion drivetrain offers six gears, making it easier and more comfortable to pedal through hilly terrain. 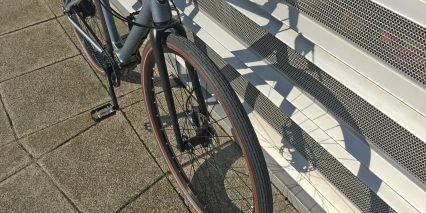 And, it uses a durable Gates carbon belt drive verses a traditional chain, which tends to be twice as durable and much quieter. Theres no cassette or derailleur here that might need adjustment, and you probably won’t ever drop the belt or get messy if your pant leg touches it because there’s no grease. 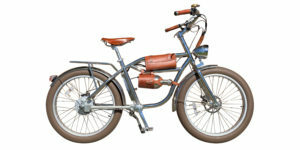 The beauty of this electric bicycle is that it looks much like a traditional acoustic bicycle. 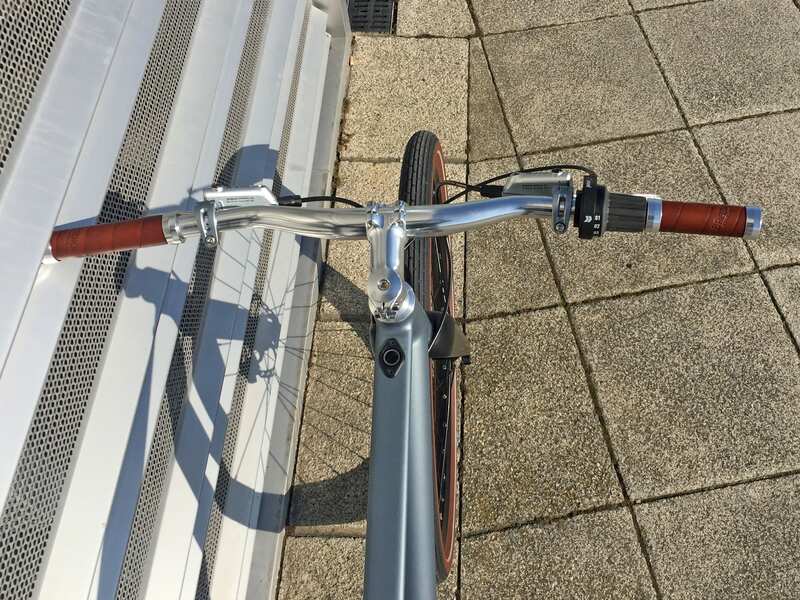 The display interface almost disappears on the top tube, so the handlebar is completely open for accessories like phone mounts… which would be very handy to use if you download the smartphone app. For zippy runs around town, this bike is a clear winner. 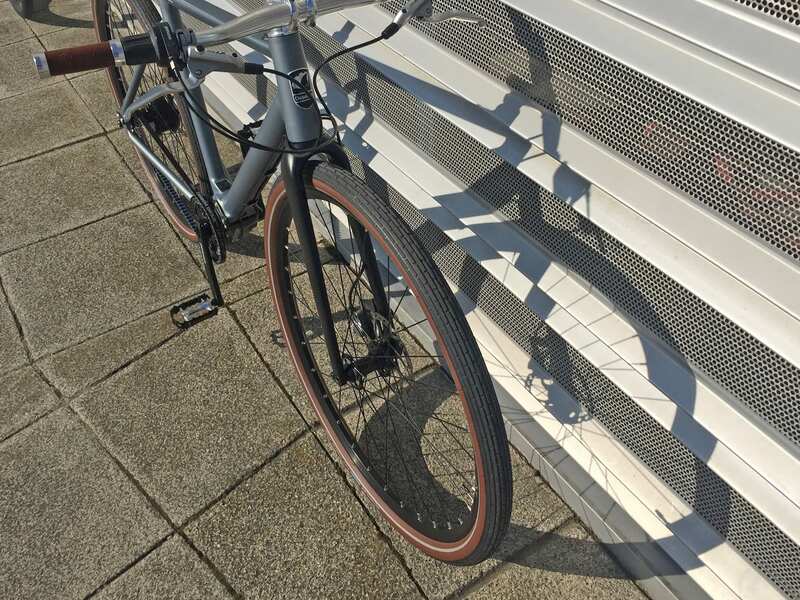 The Desiknio Single Speed Urban won me over with its simplicity and beauty, but the Pinion Classic would be a more practical choice for me personally, because I like to switch gears frequently due to a sensitive knee. 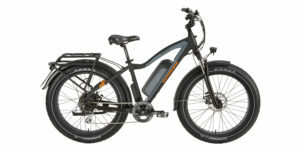 Driving this e-bike is a compact, 250-watt nominally rated, planetary geared hub motor. It hides perfectly behind the 160mm disc brake rotor on the left and full sized 30 tooth belt cog on the right. The rear hangar is a floating design, and offers a horizontal dropout with stainless steel insert on the right, to manage axle bite as the motor produces force. You can definitely hear the motor when operating at full power with a frame mounted camera, but it fades away when you’re actually riding. 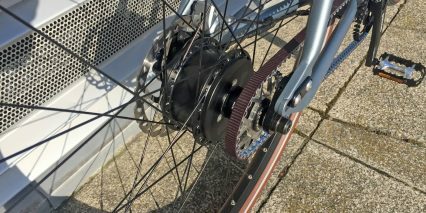 Geared motors, like this one, freewheel efficiently, so you can coast along without any additional drag or resistance… just a bit more weight. I was told that the motor only weighs ~2.1kg (4.63lbs) and there appeared to be enough space for use with a cassette if you wanted to completely change the drivetrain. With both this multi-speed configuration and the Desiknio single speed, there’s gap between the right side of the motor casing and the sprocket. 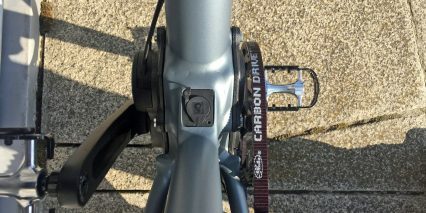 I was able to see the 20 small magnets near the sprocket interface, and this is what allows the bike to switch on and off so quickly, and why they opted to skip motor inhibiting brake levers. 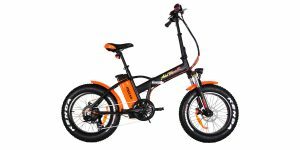 For an efficient ebike like this, with peak output of 350 watts, the brakes seem more than capable and were very easy to use. The final upgrade I noticed with this motor is how the power cable was connected. 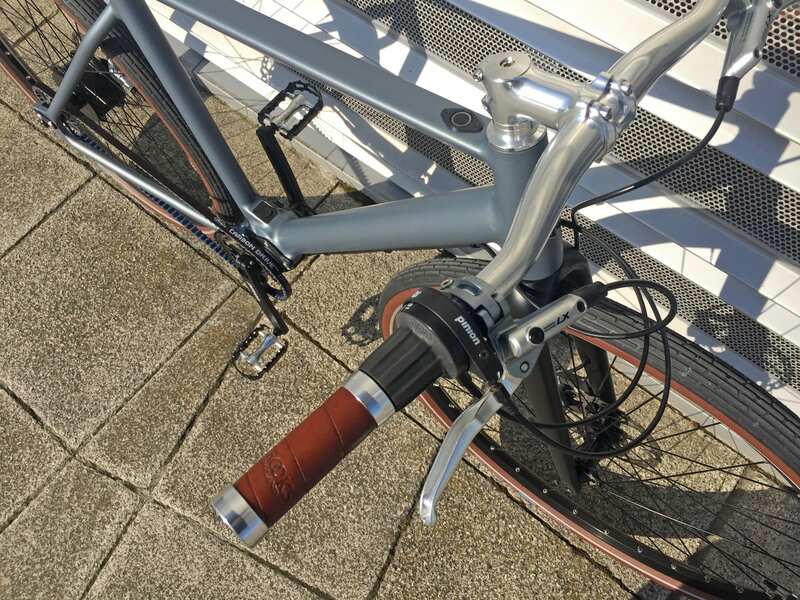 Rather than protruding from the right axle, like most cheaper designs from Bafang and others right now, this one is tucked between the hub casing and disc brake caliper on the left. 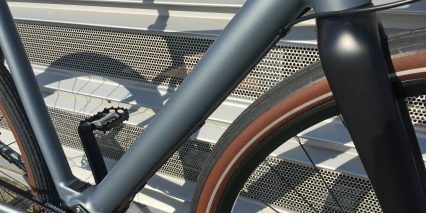 It adds to the sleek “hidden ebike” aesthetic, and is going to stay better protected at bike racks and if the bike accidentally tips. Powering this bike is lower capacity 36 volt 7 amp hour Lithium-ion battery pack that is built right into the downtube. 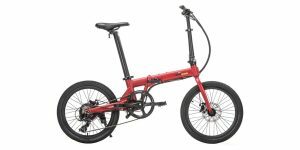 It can slide out the bottom for maintenance or replacement, but requires removal of the bottom bracket Pinion system and crank set. This battery is a blessing and a curse in my opinion. 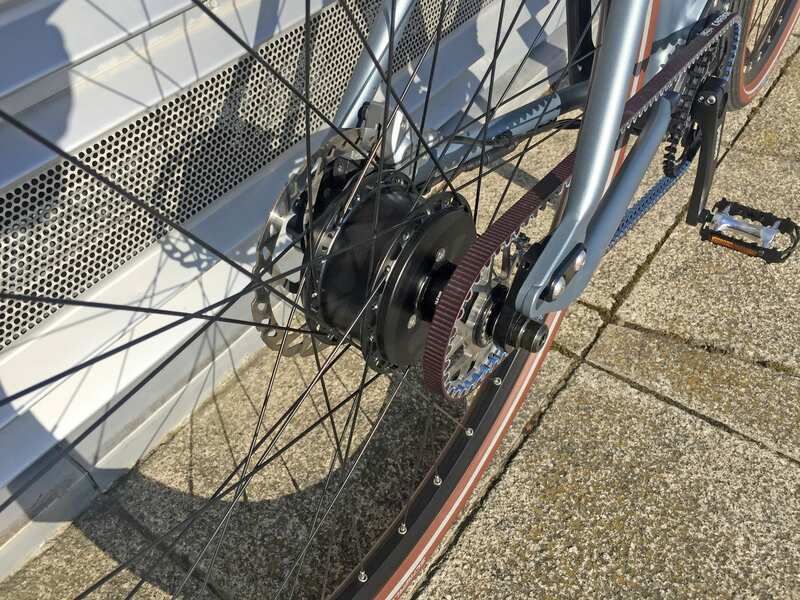 It offers well below the average 350 watt-hour capacity I see on most electric bikes (many now offer 500+ watt hours) but is completely hidden, positioned low on the frame, and reduces the overall weight of the bike. 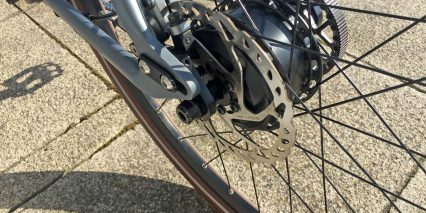 The reason you probably wouldn’t want a more powerful motor on this bike (aside from European regulations) is that it would drain the pack more quickly and severely limit range. The motor and battery work together perfectly, it’s just designed more for active riding where you always pedal and exert some effort. 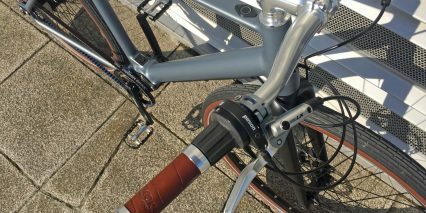 If you are alright pedaling but struggle with hills, the 6-speed Pinion gearbox is a great choice. 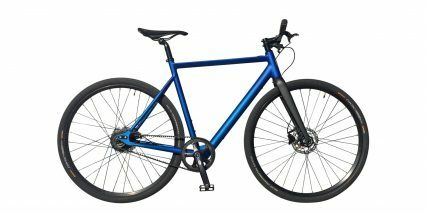 I really think the Pinion 6 or 12 speed give you everything that the single speed has, and more, but the price is higher and the weight goes up by ~5lbs. 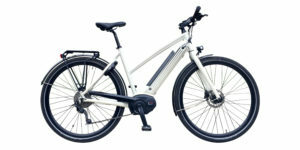 I was told that all of these electric bikes use batteries with upgraded Panasonic brand cells, I was also told that there will be a 250 watt hour external bottle-style battery upgrade (which perhaps could be charged off-bike). 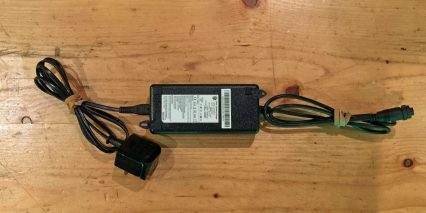 And, the charger is relatively basic but compact and lightweight, offering 2 amp output. Do be careful when charging however, because the plugin port is situated between the crank arms and could get snagged and broken. It uses a plastic plug interface that didn’t feel as sturdy as some. Finally, the bike did not have a kickstand, so be extra careful when leaning it against a wall, or consider adding one aftermarket. Desiknio reached out to me via email after posting the single speed review to clarify how the display panel works. They told me to press the button for one second to turn the bike on (the system does a diagnostic check on itself and then shows the battery level as white: more than 75%, green: between 50% to 75%, orange: between 25% to 50%, and red: 0% to 25% and blinking faster if 15% or 10%). When you’re ready to change assist levels, just one short click will take you from white: assist off, green: assist 1, orange: assist 2, or red: assist 3. I was told that the bike starts off in level 1, so you get a small level of assist right away. It seems like the assist level color changes after just a few seconds of riding, reverting back to your battery level color (which is why I was seeing green frequently during the ride, despite choosing assist 3 which is red). While adjusting assist levels, a long click of greater than three seconds will turn on and off the lights (if the optional Supernova lights are installed and connected). Once the display reverts back to battery readout, you can hold the button for three more seconds to turn the bike off. Also, you can hold the button for 10 seconds if you want to completely reboot the system (which is what we ended up doing in the video review). 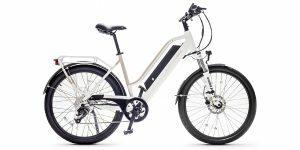 Overall, I really enjoyed this electric bike, especially after comparing it with the Coboc One Soho, a similar looking single speed from a competing brand. The Desiknio products do not offer cadence and torque sensing, but I prefer the default motor performance and refined power cable interface. This is an electric bike that is fun to ride without assist, easy to lift up and store inside (and that’s what I’d probably do given the price and beautiful finish). 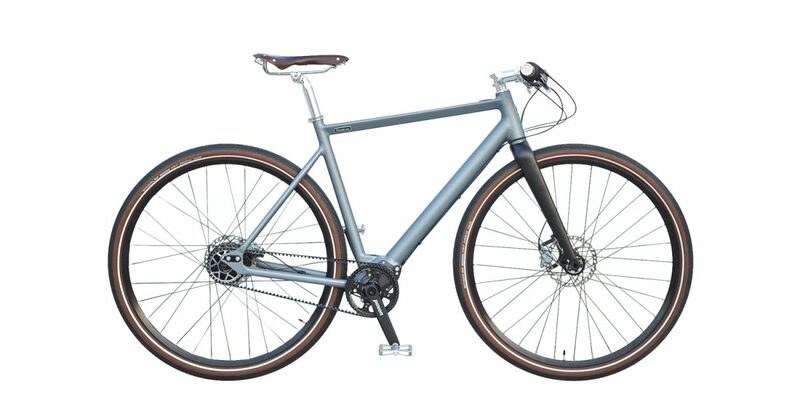 It would be cool to see a mixte mid-step frame for people who cannot step as high, and I’d probably swap the rigid post with a suspension design to ease tension in my shoulders, back, and neck. 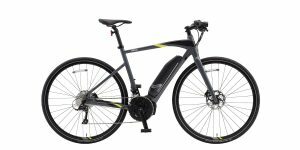 For people who want an active experience, something fast and efficient, an ebike that’s fun to pedal but will still help you manage wind and hills, this would be a great option. 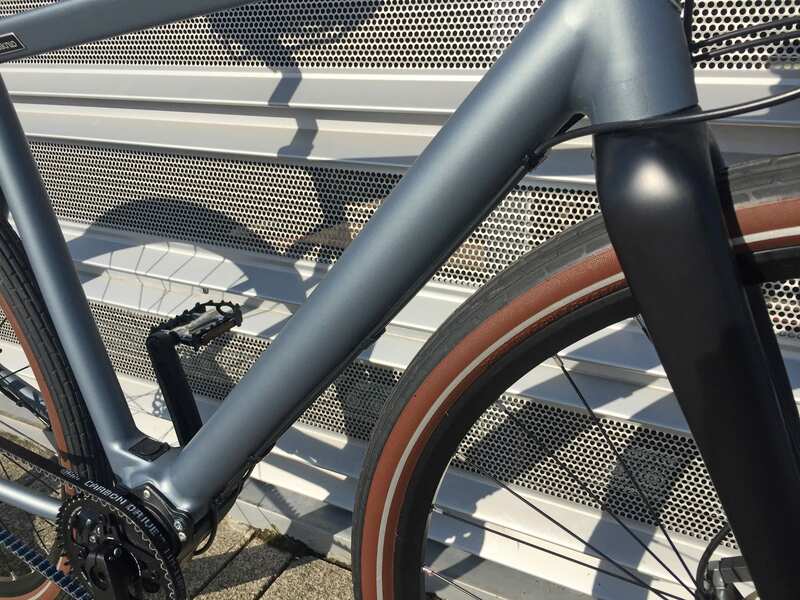 I would absolutely love to see what it looks and rides like with a Lauf carbon suspension fork, and that’s made possible by the tapered head tube and 15mm thru-axle here. It’s an exciting bike because it’s convenient to ride. There’s a lot less hassle here, except for parking near a power plug and carrying around the charger if you are struggling with range. I wish I had more details for you regarding battery readouts and welcome feedback and questions in the comments below, I’ll do my best to answer. 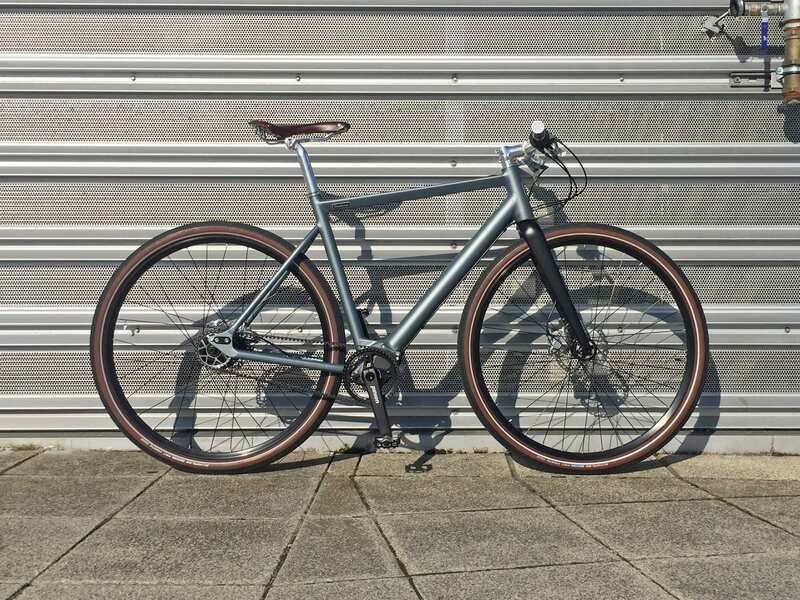 Good looking bike, but looks like it doesn’t have any fender or rack mounts even though they are listed under Attachment Points? Any news on the US spec bike and eventual availability? There are no dealers outside of Europe listed on the Desiknio website. Thanks for the clarification. It’s non-trivial to support a USA version, UL certification etc. I do hope it shows up in the USA sooner rather than later.